To raise awareness about postpartum depression, the Fairfax County Police Department is sharing the story of an officer who took her own life. Detective Shelane Gaydos was pregnant with her fourth child in June 2015 when she suffered a miscarriage, according to a Facebook post published by the police department Sunday. After the tragic loss, Gaydos became withdrawn and deeply sad, police say. "She told others she felt like a failure for having lost the baby, and she stopped sleeping," the post reads. 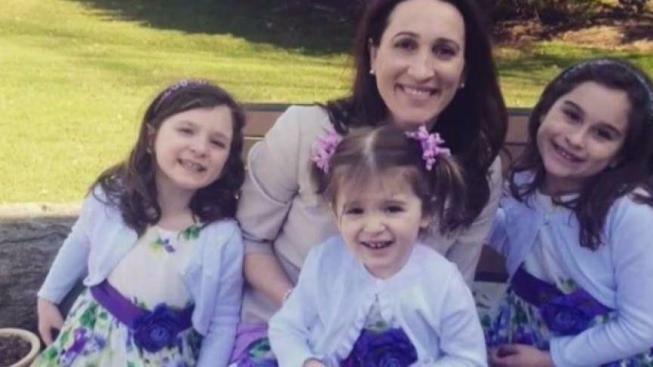 Two weeks later, Gaydos took her own life, leaving behind her husband and three daughters. He now knows his wife had postpartum depression. Nearly 15 percent of women suffer from postpartum depression after giving birth. But according to the National Institute of Mental Health, postpartum depression can begin before or any time after childbirth. Symptoms of postpartum depression include lack of interest in the baby; mood swings; scary thoughts about something bad happening to the baby and, in severe cases, suicidal thoughts. His wife was a tough cop despite her petite size, police say. She once took down two fleeing suspects after a pursuit turned into a foot chase. But police say she counted being a mom as her most important accomplishment. "Shelane was a hands-on mom, devoting most of her time to her daughters," the Facebook post says. Her husband said it took about two years for him to be able to think about her and smile instead of feel pain. “Up until then, every day was pain," he said. "Every day was waking up thinking about her." He considered killing himself until family and fellow officers urged him to get help, which he did, for himself and his daughters. “I was looking at my girls last night watching TV, and they’re running around laughing and I see them and I think, 'What about their weddings? What about prom?' It’s just not going to be the same for them,” Lt. Brian Gaydos said. A 5K race will be held Saturday in his wife's memory with the hope it will raise awareness about postpartum depression and help erase a stigma. Shelane's Run will start at 8:30 a.m. at the Fairfax County Government Center. Sign up or donate here. If you or someone you know needs help, click here for a list of mental health services and resources in your area.